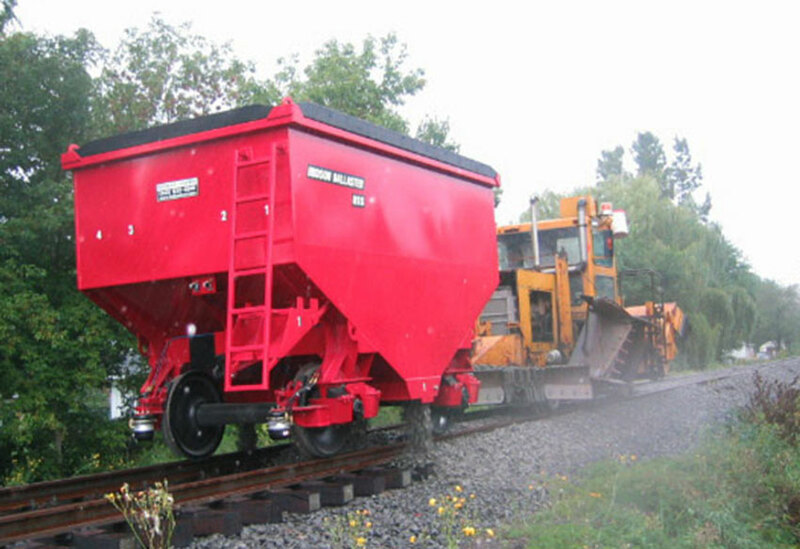 The Hudson Ballaster has four bottom gates, one on each field side and two between the rails to ballast the track cross section. 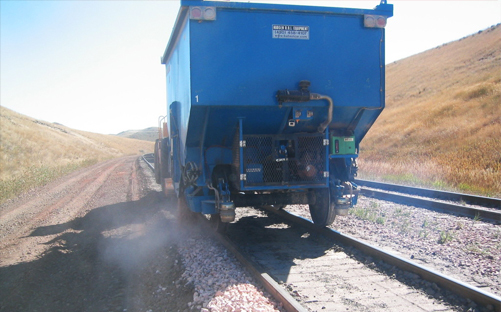 Shoulder chutes attach to the two outside gates to ballast the track shoulders. 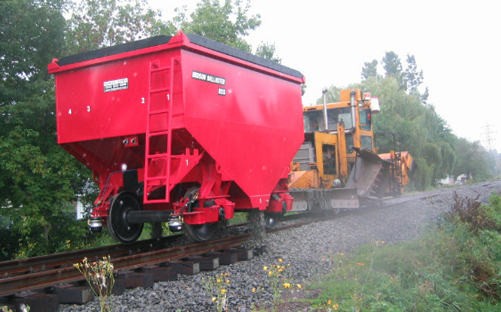 The gates are opened and closed hydraulically and controlled with radio remotes. Gates can be operated simultaneously or individually. 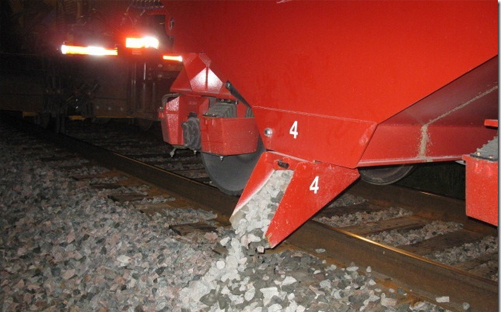 Ballast distribution in terms of location and depth is very accurate resulting in reduced double handling and reduced ballast waste. 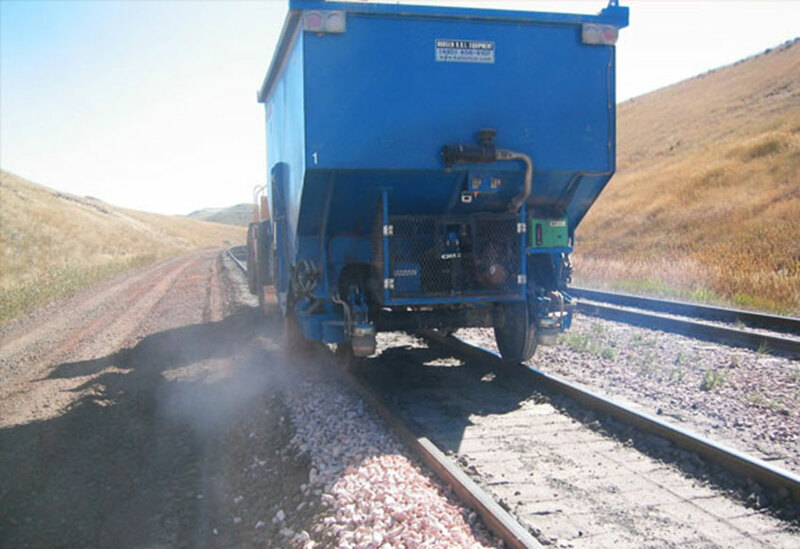 Shoulder ballasting with removable shoulder chutes. 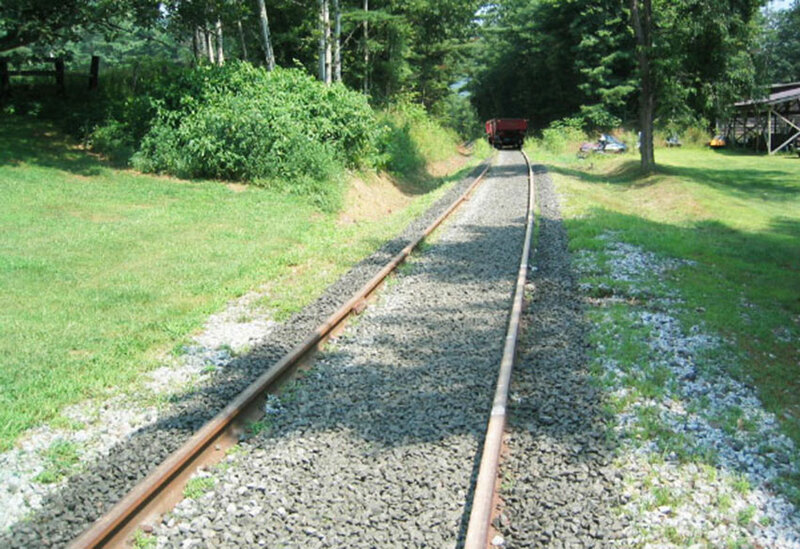 Able to ballast a specific track area, as per photo only the field side. 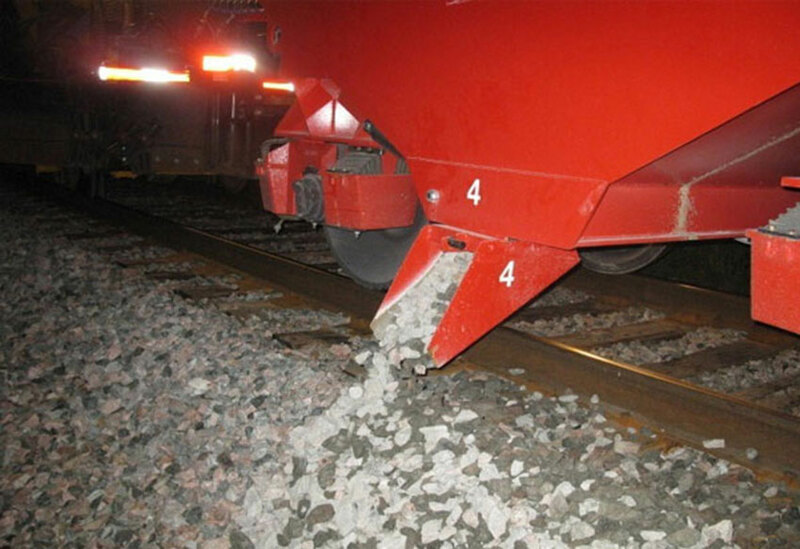 A skin layer of ballast prior to tamping. 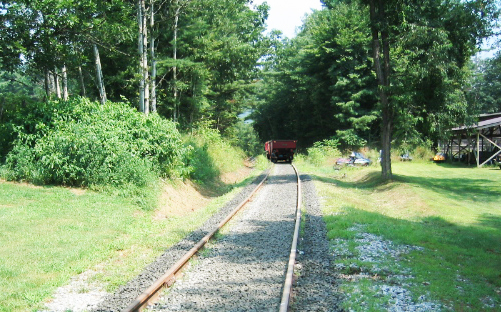 Flooding track in new construction. ©2013 Hudson ROI Equipment Inc.